Lambert here: As usual, the scandal is what’s legal. Horn uses the Clinton email trove to tease out the efforts of three Flexians from HillaryLand — David Goldwyn, Carlos Pascual, and Neil Bro — to envision and implement a Mexico energy “reform” architecture from which they personally benefit. Ka-ching. By Steve Horn, a Madison, WI-based Research Fellow for DeSmogBlog and a freelance investigative journalist. He previously was a reporter and researcher at the Center for Media and Democracy. Originally published at DeSmogBlog. Originally stored on a private server, with Clinton and her closest advisors using the server and private accounts, the emails confirm Clinton’s State Department helped to break state-owned company Pemex‘s (Petroleos Mexicanos) oil and gas industry monopoly in Mexico, opening up the country to international oil and gas companies. And two of the Coordinators helping to make it happen, both of whom worked for Clinton, now work in the private sector and stand to gain financially from the energy reforms they helped create. The appearance of the emails also offers a chance to tell the deeper story of the role the Clinton-led State Department and other powerful actors played in opening up Mexico for international business in the oil and gas sphere. That story begins with a trio. David Goldwyn, who was the first International Energy Coordinator named by Secretary of State Hillary Clinton in 2009, sits at the center of the story. As revealed by DeSmog, the State Department redacted the entire job description document for the Coordinator role. 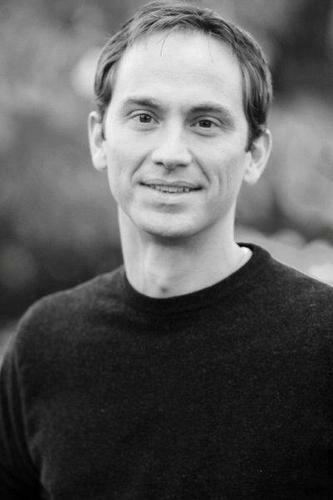 Goldwyn now runs an oil and gas industry consulting firm called Goldwyn Global Strategies, works of counsel as an industry attorney at the law firm Sutherland Asbill & Brennan, and works as a fellow at the industry–funded think tanks Atlantic Council and Brookings Institution. The emails show that, on at least one instance, Goldwyn also used his private “dgoldwyn@goldwyn.org” (Goldwyn Global Strategies) email address for State Department business. It remains unclear if he used his private or State Department email address on other instances, as only his name appears on the other emails. But Cheryl Mills, a top aide to Secretary Clinton at the time, initiated the email that he responded to on his private account. Carlos Pascual, Goldwyn’s successor as International Energy Coordinator, who oversaw the creation of the State Department’s Bureau of Energy Resources as mandated by the Department’s 2010 Quadrennial Diplomacy and Development Review, serves as another key character. So too does Neil Brown, a former top-level staffer for Sen. Richard Lugar (R-IN) who now works at the private equity firm Kohlberg Kravis Roberts (KKR). Brown now works with former CIA Director David Petraeus at the KKR Global Institute, where he serves as Director of Policy and Research, and formerly served as senior-level staff for the U.S. Senate Committee on Foreign Relations. He also still serves as a senior advisor for Goldwyn Global Strategies, according to the firm’s website. A May 2009 email written by top Clinton advisor Cheryl Mills, in which she shared an early draft of the job description for International Energy Coordinator (redacted in the email), points to the origins of the idea behind the job. That is, it actually came from Lugar and Mills wrote that it would continue to “fulfill the mission outlined by the legislation” he introduced. Mills was referring to the Energy Diplomacy and Security Act of 2006 and 2007, bills introduced by Lugar and co-sponsored by then-Senators Barack Obama, Joe Biden and Chuck Hagel, among others. Defense Secretary Hagel formerly served as Chairman for the Atlantic Council and sat on the Board for Chevron, one of Atlantic Council’s top funders. 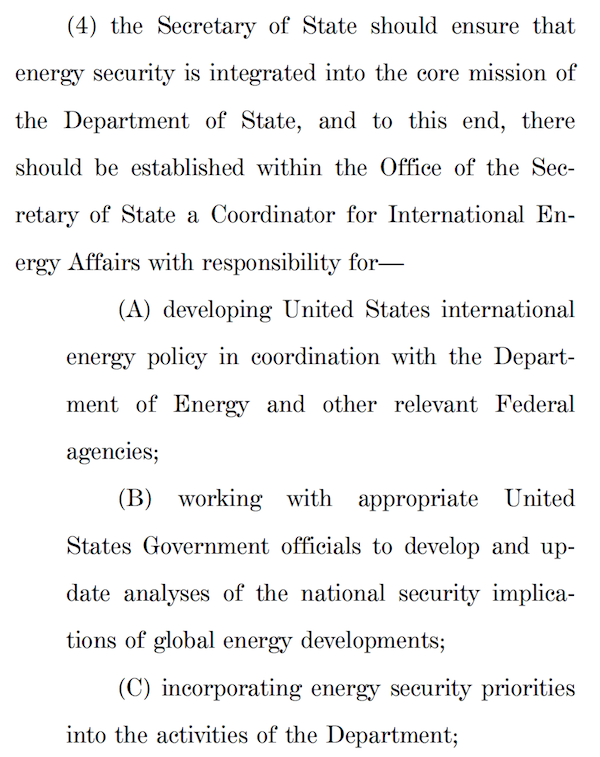 That bill called for the creation of the International Energy Coordinator position. Neither of those bills passed. Instead, the measure was inserted into the broader Energy Independence and Security Act of 2007 as Section 931. Lobbying records show Marathon Oil, ExxonMobil and Goldman Sachs all lobbied for both the original bill and the omnibus bill, with scores of other oil and gas companies also lobbying for the latter. Lugar announced the bill for the first time at a Brookings Institution event in March 2006 at an convening moderated by Carlos Pascual, then Vice President and Director of Foreign Policy Studies for Brookings. 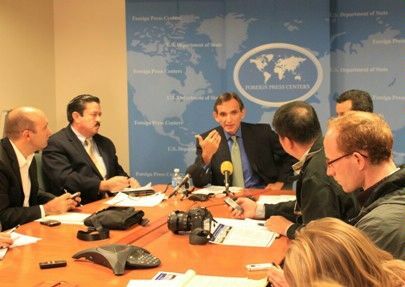 In October 2006, Gregory Manuel — who now works at MNL Partners, a clean energy project development and finance shop focused on China — became the first ever International Energy Coordinator for the Bush Administration State Department. The Manuel announcement occurred the same month as the powerful Council on Foreign Relations (CFR), heavily funded by the oil and gas industry, published a report advocating for the creation of a similar position within the White House’s National Security Council. David Goldwyn, future International Energy Coordinator, sat on the task force (with current Secreatry of Energy Ernest Moniz) that authored the report and called for creation of the job. At her 2009 confirmation hearing in front of the Senate Committee on Foreign Relations, then-Committee Chair Lugar asked Clinton if she intended to continue funding the position. She confirmed she did, and not long thereafter followed through on the promise — by hiring Goldwyn. Both Clinton and Goldwyn did not respond to repeated requests for comment for this story. An October 2009 email written by Mills mentions “engaging with…Mexico” as among Goldwyn’s top “energy security priorities.” Congressional testimony he delivered in April 2013 confirmed Goldwyn initiated energy reform efforts in Mexico while at the State Department, as did a story published a couple weeks later by Reuters. 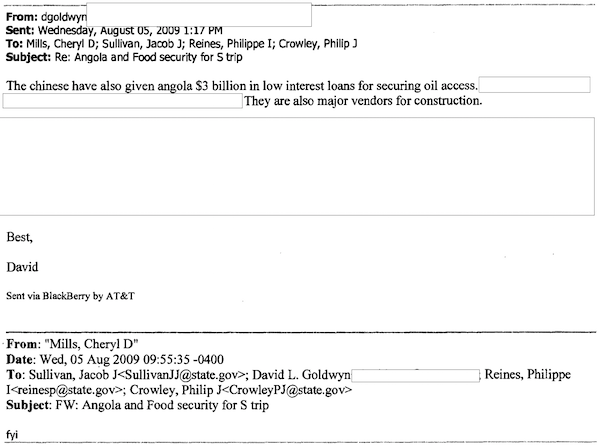 A State Department diplomatic cable unearthed by Wikileaks sheds further light on Goldwyn’s efforts in Mexico. 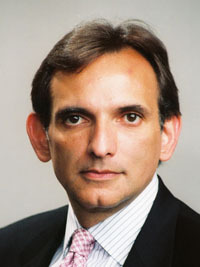 At the time that cable was published, Carlos Pascual served as U.S. 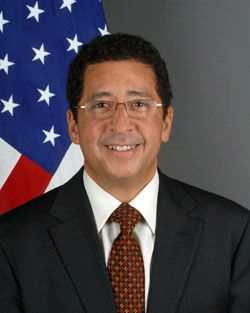 Ambassador to Mexico, a job he would eventually leave to become Goldwyn’s successor as International Energy Coordinator. After leaving the State Department, Goldwyn continued that effort “to provide assistance” for energy reform alongside Neil Brown in the private sector. One of the last things Brown did in the Senate before getting a job with Goldwyn was to co-author a December 21, 2012 U.S. Senate Committee on Foreign Relations report on the then-proposed and since-passed U.S. Mexico Transboundary Hydrocarbon Agreement. That agreement served as the first step of Mexico’s energy reform efforts, which opened up offshore oil in the Gulf of Mexico to international oil and gas companies, and was lobbied for by the likes of ExxonMobil, Chevron, BP, the American Petroleum Institute, Independent Petroleum Producers of America and others. Brown “worked on the [Mexico energy reform] issue…as lead Republican international energy aide in the Senate,” according to Reuters and also went on a taxpayer-funded trip to Mexico during his last few months as a Foreign Relations Committee staffer. Pascual also worked on the Transboundary issue when he was Ambassador, another Wikileaks cable reveals. Pascual then stated that, while the government of Mexico would posture one way to the people of Mexico, it intends to act in an entirely different way in terms of the policy it would push. Not long after Brown left his Foreign Relations Committee job, Goldwyn and Brown co-authored a report for the Brookings Institution in August 2013, “Time to Implement the U.S.-Mexico Transboundary Hydrocarbons Agreement — Congress: Drop the Poison Pill.” The bill would pass months later and be signed into law by President Obama. They also co-authored a report a year later for the Atlantic Council, “Mexico’s Energy Reforms: Ready to Launch.” Goldwyn also published a December 2013 Atlantic Council report, “Mexico Rising: Comprehensive Energy Reform At Last?,” which came out just one week after Mexico’s legislature passed constitutional reforms opening up its oil and gas spigot to international drillers. Goldwyn, Pascual and Brown now stand to gain financially from the Mexico energy reform architecture they helped envision and construct. Doing a “swap” means exporting U.S.-produced crude oil to Mexico and trading it with Mexican-produced oil, serving as a way to wedge open the door on the current ban on U.S. oil exports. Dweck and his Sutherland colleague Shelley Wong both sat on the Brookings Institution Crude Oil Task Force co-chaired by Goldwyn. All three of them contributed to a September 2014 Brookings report calling for increased exports of U.S.-produced crude oil, which was written in reaction to another report they funded and released simultaneously written by National Economic Research Associates (NERA). Just months later, Columbia University’s Adrián Lajous released a 13-page white paper calling for U.S. crude oil exchanges with Mexico. In the acknowledgements for the paper, he thanked Dweck for “comments and suggestions that helped improve” it. Pascual now sits as a Fellow at an outfit many believe is industry-funded, but which does not disclose its funding on its website: Columbia University’s Center on Global Energy Policy. The Center does, however, disclose it “welcomes support” from corporations. Both officials at Columbia and its spokesperson at BerlinRosin did not respond to repeated requests for comment on funding sent by DeSmog. 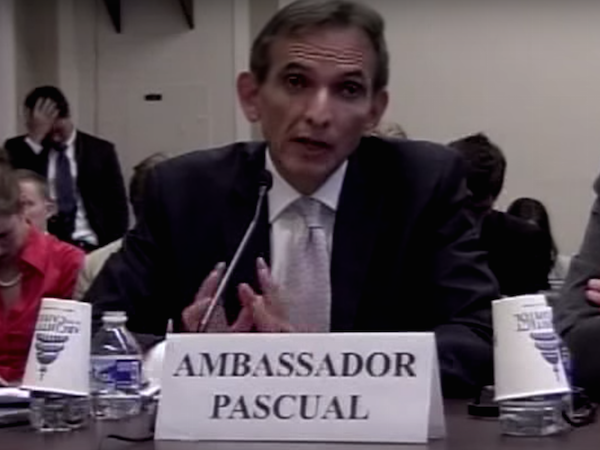 Besides Columbia, Pascual also works as Senior Vice President of Global Energy Affairs at IHS Inc., a for-profit consultancy business that provides analysis on behalf of corporate clients. The Center on Global Energy Policy has also proven a friendly forum to promote energy reform efforts, which has both published pro-reform reports and also housed panels on the topic. Adrián Lajous, another Fellow at the center, formerly served as CEO for Pemex and wrote his own pro-reform paper in June 2014 bankrolled by none other than Goldman Sachs. He had previously done the same thing on multiple occasions as head of the State Department’s Bureau of Energy Resources when he was officially serving as an Ambassador. IHS, though, does take huge batches of industry funding for its reports. A case in point: its two recent studies on U.S. oil exports, both of which were funded by companies ranging from ExxonMobil, Chesapeake Energy, ConocoPhillips, Chevron, Halliburton and many other companies. “Obviously we’re looking very closely at the energy space, upstream and downstream production, the entire gamut of that,” Petraeus told Bloomberg at the time. His trip to Mexico came just two months after he co-authored a CFR report with Robert Zoellick (former head of the World Bank, now a chairman of international advisors at Goldman Sachs) calling for the “integration” of North America’s energy markets. Just months later, KKR announced the launch of a joint venture with Monterra Energy, a new start-up created in the aftermath of Mexico’s energy reforms. KKR will serve as financier for the development of midstream oil and gas assets (like pipelines and related delivery infrastructure) owned by Monterra in Mexico. Brown and KKR did not respond to repeated requests for comment. “Integration” is where the story comes full circle. In March 2009, Lugar introduced legislation that would create a “Western Hemisphere Energy Cooperation Forum,” a concept recycled from section six of the initial Energy Diplomacy and Security Act. That Forum, had the bill passed, would have served to “strengthen integration among countries in the Western Hemisphere through closer cooperation.” It was lobbied for by Marathon Oil, one of only 26 companies approved to bid for shallow water oil and gas reserves in Mexico during its recent July auction. Lugar introduced the concept of the Forum, like the International Energy Coordinator idea, during his 2006 Brookings address moderated by Pascual. Although it never became a piece of congressional legislation, it did become the de facto law of the land as a chapter in the U.S. Department of Energy’s recently-released Quadrenial Energy Review (QER). Most recently, Goldwyn, Pascual and Brown all sat on Atlantic Council’s Task Force on the U.S. Energy Boom and National Security. That Task Force, co-directed by Godlwyn, released a report pointing to the QER to advocate for “infrastructure and policy integration” with Mexico. Hillary Clinton recently released her energy and climate plans for her presidential campaign, lauded by some. But to date, she has not commented on the energy reform efforts in Mexico her State Department helped spearhead, which will usher in more deepwater offshore drilling in the Gulf of Mexico and onshore fracking in Mexico’s portion of the Eagle Ford Shale basin. It will also flood the electricity grid with fracked gas emanating from the U.S., a fact proudly proclaimed by Goldwyn and the U.S. Department of Energy. One thing appears certain: those who laid the groundwork for energy reforms in Mexico have created a perfect climate to profit from the fruits of their labor. This entry was posted in Banana republic, Energy markets, Environment, Guest Post on August 9, 2015 by Lambert Strether.